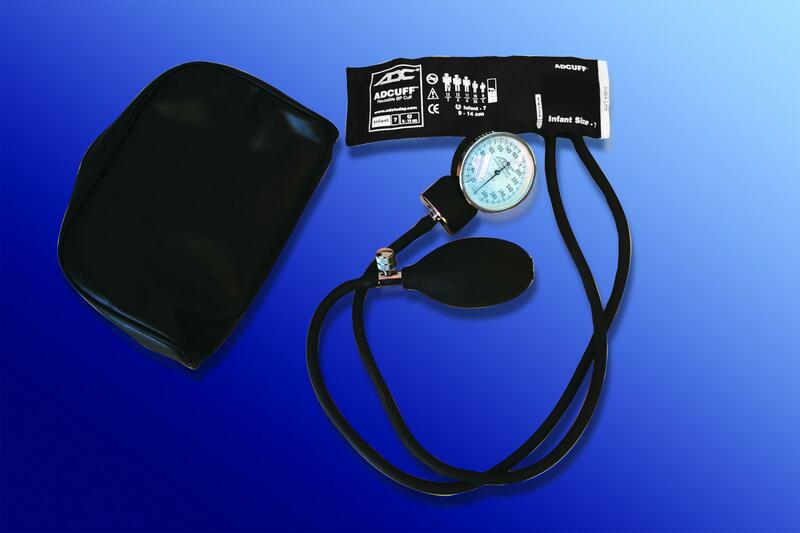 American Diagnostic Prosphyg™ 760 Series Infant Aneroid Sphygmomanometer, Black, Fits Arms 3-1/2" to 5-1/2"
Contemporary black enamel 300 mmHg manometer provides day-in, day-out dependability. Adcuff™ nylon cuff with ADC"s proprietary Size Guide™ marking system, prevents mis-cuffing. Features chrome-plated brass air release valve and leatherette carrying case with durable nylon zipper. Assembled, inspected, and packaged in the U.S.A. from foreign components. Features chrome-plated brass air release valve and leatherette carrying case with durable nylon zipper.